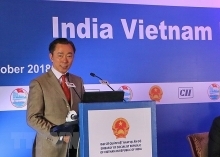 Cuba was a potential market of Vietnamese enterprises, Tu said. Moreover, the Cuban believed to use Vietnamese products, he emphasized. The two factories were planned to be at Mariel special economic zones which was 43 kilometers from Havana. The capacity of washing powder factory was 50,000 ton per year, supplying to Cuban market and exporting to countries in American continent. Investment capital for the washing powder factory was US$18 million from Thai Binh Trading Corp, Vico Limited Company and Suchel Company. The factory is expected to open in the second quarter of 2017 with 40,000 square meters. Thai Binh Trading Corp and Kywy Joint Stock Company invested US$5 million aiming to produce from 120 million to 180 million products per year. It would be built in 10,000 square meters and operated in first quarter of 2017. Besides the two projects, Thai Binh Trading Corp planned to build wood manufacturing factory for interior and exterior architecture in Havana, Vice Chairman of the Corp, Nguyen Thi Kim Thao said. On the other hand, the Corp had participated in the merge and acquisition market in Cuba, as well as the supplying chains in Cuba such as convenient shops, Thao said./.